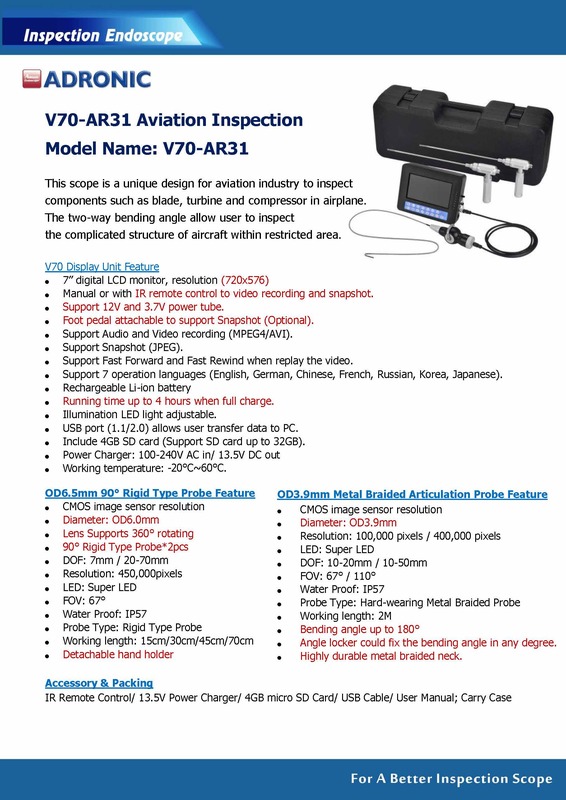 Adronic Aviation Inspection Scope is a special design for inspecting blades and for general aviation inspection purposes. 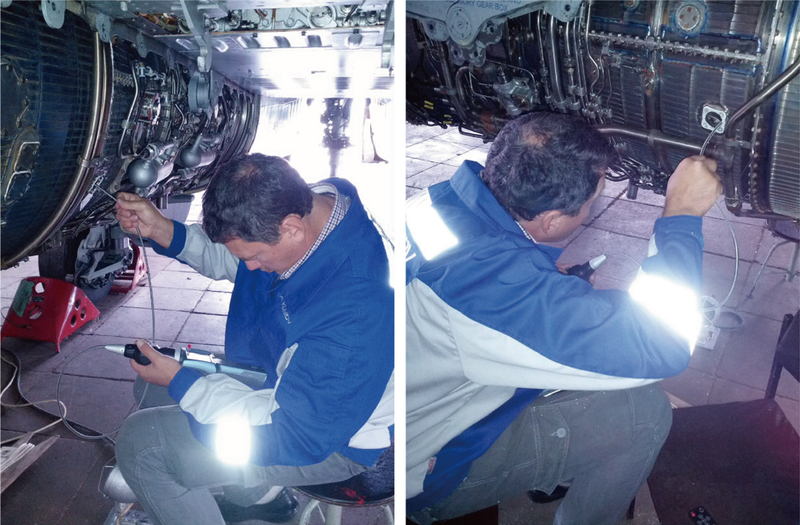 It will enable the aviation user to see the bottom of the blade inside the turbine and inspect the target within the narrow and intricate area by making a video or snapshot, including a voice recording. 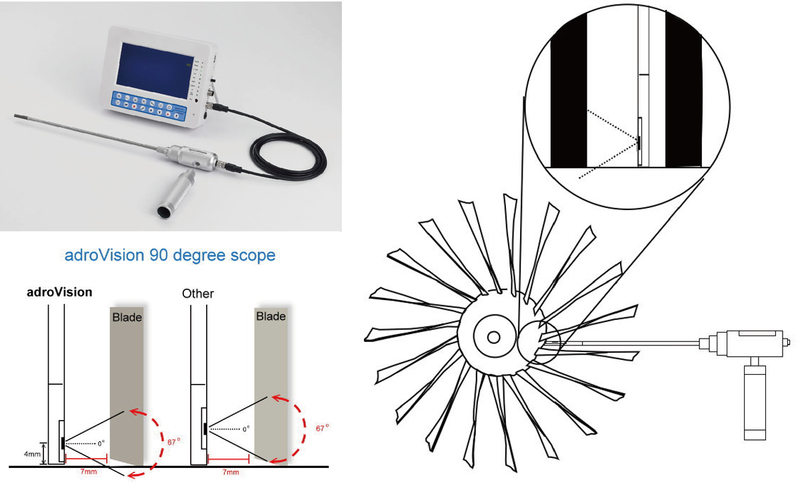 ADRONIC aviation inspection scope is a special design for inspecting the restricted area of the burning chamber and blade, and for general aviation inspection purposes. The Articulation Scope rotates 360° and its bending angle on left and right is up to 180° , it enables the user to inspect the area inside the burning chamber. The Side-view Rigid scope has 450,000 high quality image pixels and a unique lens design that allows users to see the bottom within its best focus distance. OD3.9mm metal-flexible articulation probe integrates the features of a metal-braided and flexible probe type. The metal-flexible probe is tough enough to sustain the friction when insert into a rough tube. After long tAdditionally, the metal-flexible probe also features flexibility, especially OD3.9mm metal –flexible articulation probe. Due to its flexibility, it easily enters a tube with two 90 degree curves. It is not only flexible but also strong enough to be pushed into a rough tube and could be used for burning chamber inspection.rface of probe would not be worn out but still smooth. Our OD6.5mm 90 degree side view rigid probe could be used to inspect the blades inside the compressor and turbine. 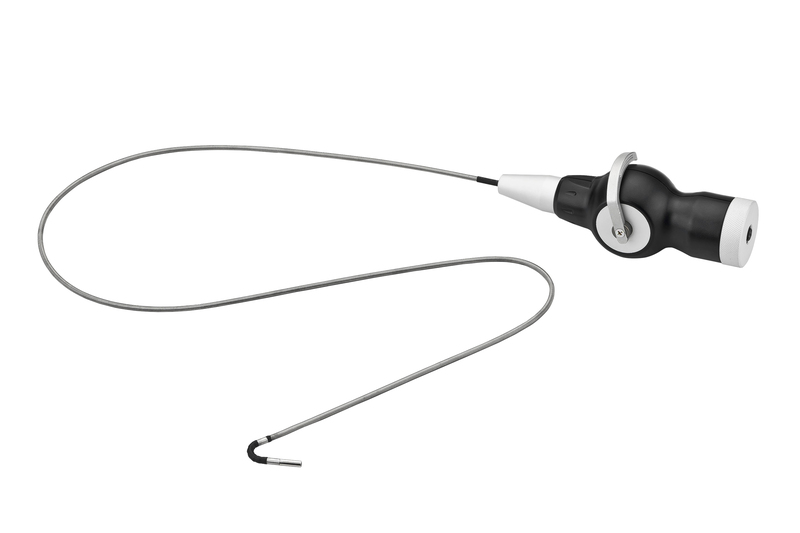 Our 90 degree side view rigid probe is unique because the lens to the camera head-edge is only 4mm in diameter, which enables users to inspect the bottom of the blade by making a video or snapshot, including voice recording. 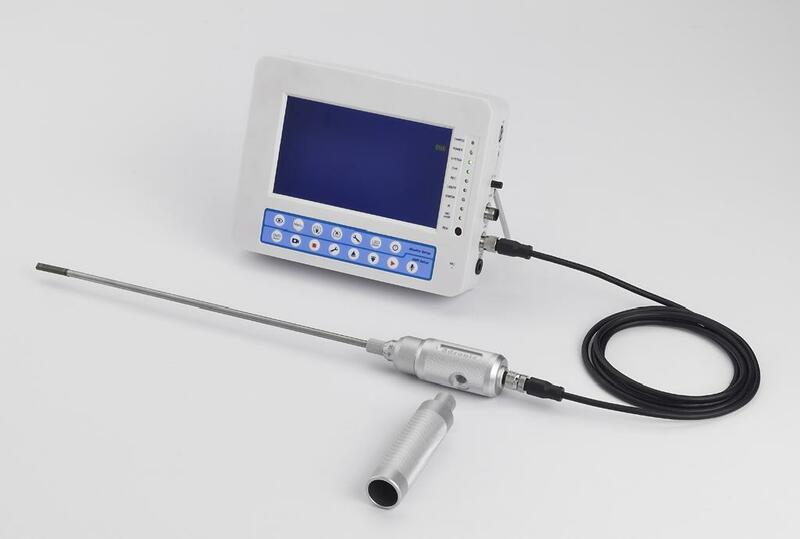 V70 Adronic Video Endoscope System is targeting and application field like inspection, maintenance as well as monitoring. 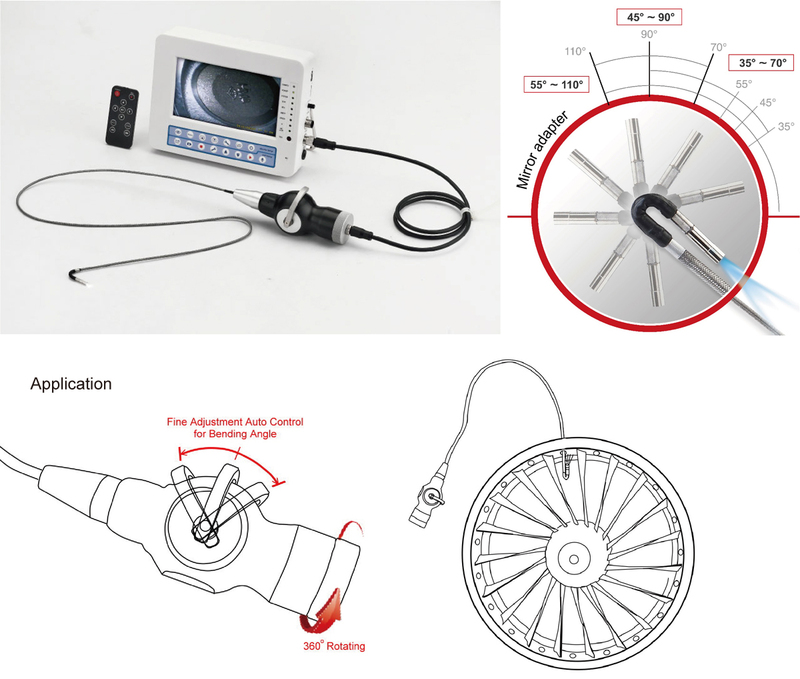 V70 Adronic Video Endoscope System is compatible to all type of made by Adronic Endoscope inspection probe including Optical fiber scope and Cmos camera scope. The diversity of probe out diameter from 0.8mm upto 50mm. 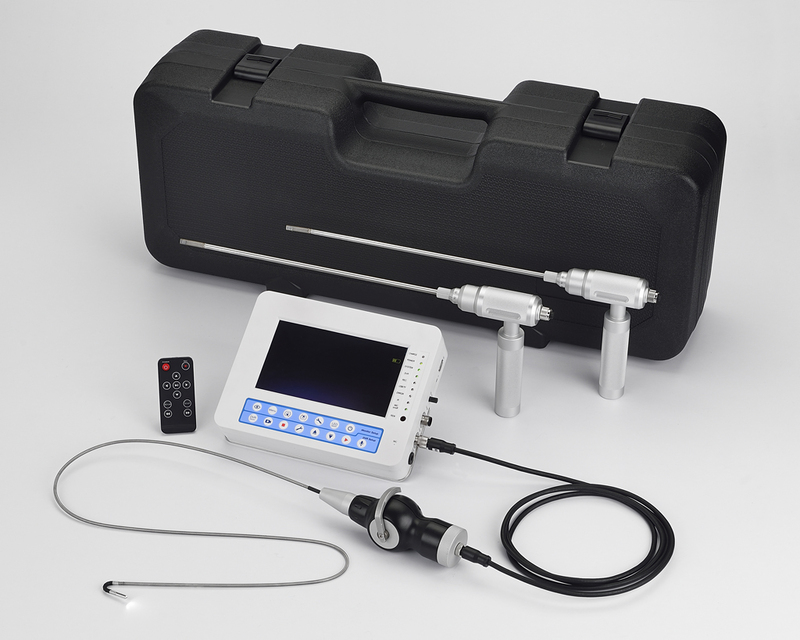 No need additional software, just attached Adronic probe direct to V70 Adronic Video Endoscope System which support Snapshot, video recording, replay video, USB plug and play, audio recording (on or off), Zoom in and Zoom out. The picture quality is with 5 Million (selectable). 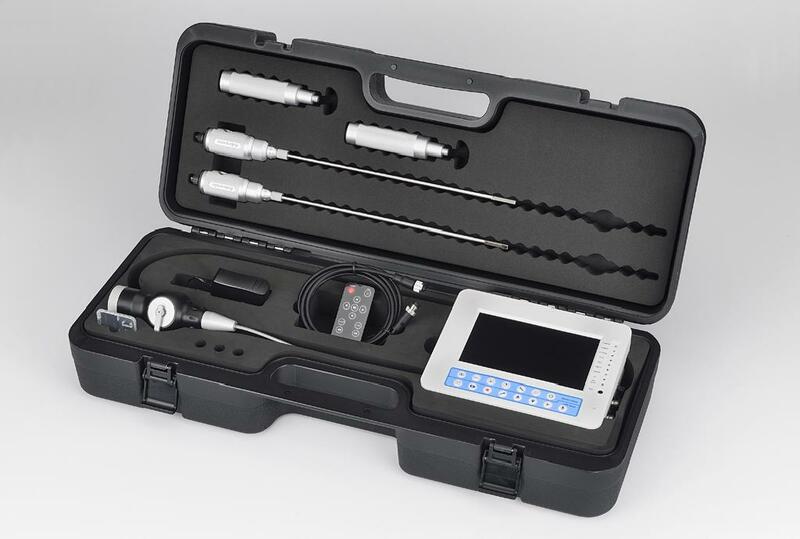 User will very much love V70 Adronic Video Endoscope System. components such as blade, turbine and compressor in airplane. the complicated structure of aircraft within restricted area. ◎Manual or with IR remote control to video recording and snapshot. ◎Support 12V and 3.7V power tube. ◎Foot pedal attachable to support Snapshot (Optional). ◎Support Audio and Video recording (MPEG4/AVI). ◎Support Fast Forward and Fast Rewind when replay the video. ◎Support 7 operation languages (English, German, Chinese, French, Russian, Korea, Japanese). ◎Running time up to 4 hours when full charge. ◎USB port (1.1/2.0) allows user transfer data to PC. ◎Include 4GB SD card (Support SD card up to 32GB). ◎Angle locker could fix the bending angle in any degree. ◎Highly durable metal braided neck. TEL：+886-4-2299-0512　FAX：+886-4-2299-0513　Copyright ©Adronic Endoscope Co., Ltd All rights reserved.